Australia’s largest off-grid solar power station is set to be built at remote Coober Pedy in far north South Australia. Federal Environment Minister Peter Garrett and South Australian Premier Mike Rann announced the $7.1 million project at the 3rd International Solar Cities Congress in Adelaide. “There will be 26 dishes, each one 14 metres high and tracking the arc of the sun – an Australian design, delivering the nation’s most efficient solar power station,” says Garrett. “When it’s completed at the end of 2009, it will generate about 1860 MW hours a year –13 per cent of Coober Pedy’s total electricity requirements. And it will cut diesel consumption by up to 520,000 litres a year, saving 1500 tonnes of greenhouse gas emissions,” adds Garrett. The Australian Government is providing $3.55 million under its Renewable Remote Power Generation program. “This project will consolidate South Australia’s reputation as a leader in renewable energy initiatives,” Rann says. “It reinforces our willingness to collaborate and invest in practical solutions to climate change in our communities,” he adds. South Australia already provides nearly half of the nation’s wind power, according to Rann, more than 45 per cent of the nation’s grid-connected solar power, and is home to more than 80 per cent of all geothermal exploration activity in Australia. 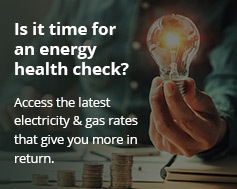 “And this announcement comes just days after South Australia passed the nation’s first solar feed-in laws which will see consumers get double the retail price for surplus power they feed back into the grid,” he says. Rann says Coober Pedy has been chosen because it is not on the electricity grid, and currently gets all of its power from diesel generators. Next: End of solar rebates?